There are days I feel like I have the world’s most energetic children! During the warmer months going outdoors to let off some steam is always a win! However, during the colder months or even rainy days finding ways to let the energy out can be much more of a challenge. Since my boys are active, I set out on an adventure to find the best in-door places to play! I have also visited a lot of these locations and have writen articles with information and pictures so you can get an inside look at some of these cool places. After reading this guide I hope you will enjoy these places to play in Charles County and beyond too! Let’s pass this article on so parents have plenty to do this winter…PLAY, LEARN GROW! Details: AC Moore hosts free craft projects for kids occasionally. Check the websites schedule to see when the next event takes place. I also love taking my weekly coupon to the store to purcahse a craft to do at home. Details: Home Depot offers free workshops for kids called Home Depot Kids Workshop that takes place the first Saturday of every month. At the kids classes in the past we’ve made helicopters, bird houses and mailboxes. The classes for kids at Home Depot are free and also include an orange apron and an achievement pin. Be sure to sign up in advanced by visiting there website. Details: Most Saturdays between 10:00 AM-11:00 AM Michaels Craft Store hosts its weekly Kids Club. 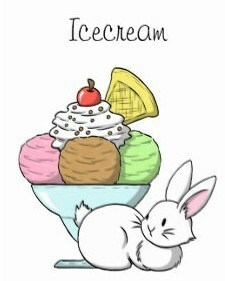 For only $2 kids get to create a project. It’s a pretty awesome deal…They craft; you shop! This program is designed for kid’s ages three and up. You can sign up in-store, online or just drop in. $2 per project, supplies included. Parent or guardian must remain on premises during the event. If you have a home school group or moms club you can call Michaels to ask if you can schedule a craft project for your group during a week day! They also always have a good selection of craft supplies to take and make at home. Details: All three of the listed Chick-fil-a (CFA) restaurants have play places! Not only is the food great but the service is too! If you have your hands full or the restaurant happens to be busy I love using the Chick-fil-a app to order food from my phone and have it brought straight to the table. CFA also hosts events and family fun nights, check there website to see what night your location is hosting one. 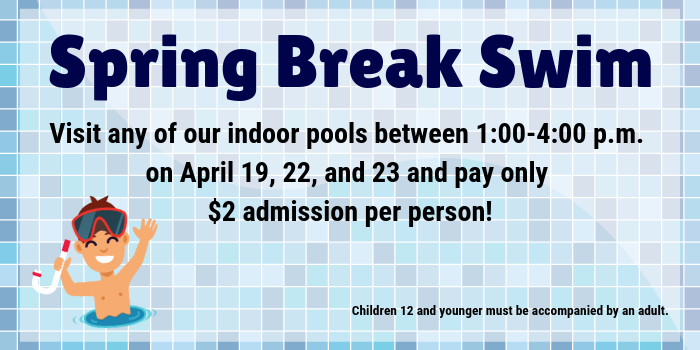 CFA is always finding ways to make a families meal out stress free and fun! Details: Chuck E. Cheese’s offers family fun, games and kid friendly food. One of things I like best is that Chuck E. Cheese has a Kid Check policy. They stamp your child hands and the grownups they came with, kids can only leave with an adult that matches the stamped number on their hand. Not too many people seem to know that on week days CEC offers a $5.99 lunch buffet for those ages 3 and up, plus one kid per adult purchase under the age of two eats free! Also, you can get 100 tokens (now on token cards) for $25; which you can divide amongst the kids. I have two kids and it usually takes three tips to spend the 100 tokens. MCDONALDS- The McDonalds in Charlotte Hall has a fun indoor play area with soft structures to climb on a slide down. The location in Leonardtown has a huge indoor play ground with tunnels and a slide. Details: The Public library is the perfect place for entertaining your little one(s); from attending a story time to checking out books or engaging in an education computer game or enjoying a program from their monthly calendar there is so much to do. In addition to all this each branch has its own kid’s section, each with a different theme and toys. Most kid’s areas include educational games, toys and puzzles. Also, some parents may not know about Imaginative Playroom located at The Waldorf West Branch where littles can play in a room full of toys that promote learning through play. Details: Family Place to Play Fun Center is a large indoor playground that can accommodate birthday celebrations, church and organizational outings, school field trips, corporate team building, play groups, or whatever the occasion may be! They have an open play time, admission is $10 per kid and they can explore the fun center for two hours. Check there website for hours and additional information. Details: This is a great place for the ultimate bowling experience. The AMF bowling alley offers state-of-the-art equipment and amenities for every level of bowler. From bumpers and lightweight balls for the kids to competitive oil patterns for the pros, AMF is America’s place to play. My son loves the dinosaur shaped ramps. There is also a huge arcade room that you can play games for prizes. Details: The Capital Club House is Southern Maryland’s ultimate recreational and sports complex. This 90,000 square foot recreation center is open year ’round for those of all ages. Under one roof you will find: an NHL-size ice rink, a multi-sport court, a rock climbing wall, eight locker rooms and four party rooms. The facility is also home to Mike’s Sporting Equipment, Skater’s Paradise, Power Play Arcade, and World Gym! Be sure to check out the capital club house calendar for information on events hosted weekly for kids such as Public Ice Skating, Totsicles and Little Stars. Details: The Charles County Department of Recreation, Parks & Tourism operates five swimming pools, three year-round indoor facilities and three outdoor seasonal facilities. A variety of classes and programs are offered at each facility and there are often open pool times and even free swim programs. Check out their website for more information. Details: MY GYM is probably my boy’s favorite place to play. The coaches are fun, encouraging and energetic. My Gym has developed an extraordinary program and facility devised to help little ones from 6 weeks old through 10 years of age develop physically, cognitively and emotionally. My GYM is a membership program in which families can enroll their children in classes and practice and play times. However, if you aren’t a member there are still events open monthly to the community such as parent’s nights out, camps during school breaks and moon bounce Mondays. Check out their awesome website for details and information. Details: Pump It Up isn’t just open for birthday parties, they also have fun programs such as weekly open jumps, little jumpers and glow jumps on the calendar. Most week days between 10AM-12PM little jumpers is available to the public. This special open jump is for kids aged 1-6 years old only. If you’re worried about older kids running around the smaller ones, this is the perfect time for your little jumpers. There is a designated toddler area is for 1yrs-3yrs only. 2 yrs-6yrs are allowed to jump on the inflatables. Admission for ages 2- 6 years old is $5.50, kids under the age of 2 are free. Details: Sky Zone is a great place for families to play together. You are never too old or young to jump. There are programs and open jump hours for all ages. It’s pretty neat to experience the weightlessness of bouncing, flipping and jumping on a trampoline. They have different activities areas such as basketball hoops, giant foam pit, dodge ball courts and a ninja warrior course. They also have special programs for toddlers. 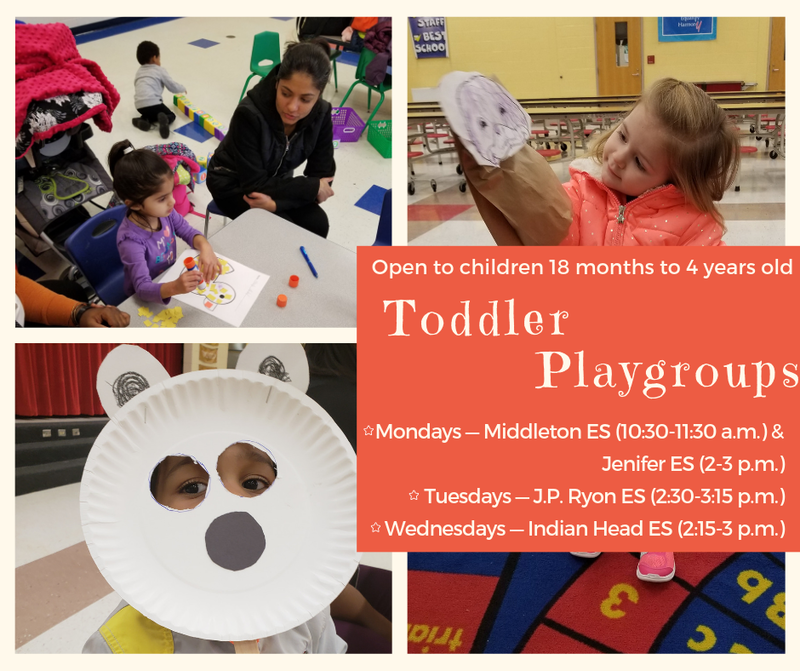 Every Tuesday and Thursday from 10AM-12PM there is a toddler time. Cost is $13 per child and $7 for adult. Check out their site for details. Details: Unique Sports Academy offers a drop in free play every Tuesday & Friday from 10AM-11AM. 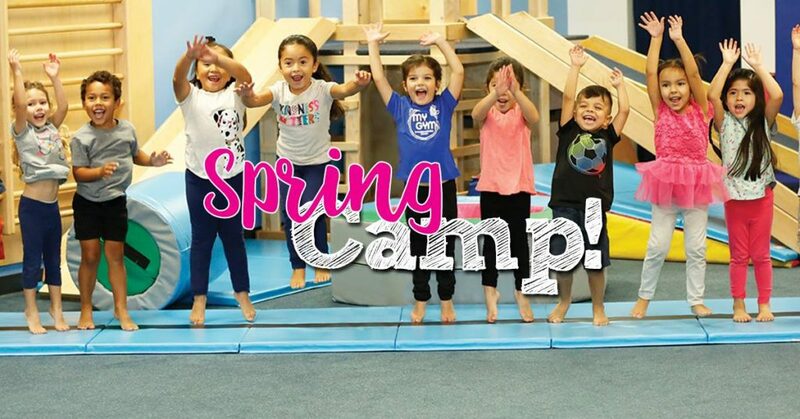 This fun program designed for children ages 18 months to 5 years old is set up for them to explore obstacle courses, foam pit and trampoline time. Cost is $5 per child. Parent participation is required during floor activities. No registration required to participate in the fun. Details: Roller-skating is a great way for kids to get some exercise and it’s something the whole family can enjoy. Waldorf Roller Skating Center Roller and Inline Skating Rink offers open skating, where the rink is open to the public, as well as private access to the skating rink for events such as a birthday party. The rink offers rentals for regular roller skates and you are free to bring your own regular or inline skates. For beginners, skating classes are available for kids and adults of all ages. See their website for hours and prices as they change each day of the week. Details: If you are looking for a movie theater with comfortable stadium seating than this is the place. What’s great about this theater is that they offer sensory friendly films. Visit their website for details on show times and prices. Details: Experience quirky off-Broadway comedies, thought-provoking dramas, and crowd-pleasing musical productions. Children and families can experience the theatre right in Southern Maryland at CSM! With performances that highlight fanciful wishes and adventures, kick start your child’s love of theatre and the stage. Details: Can you believe it? Charles County has a Planetarium! You can see a show in the dome every Wednesday & Thursday night at 6:45PM or Saturdays between 9AM-12PM. There is also a free program on the first Monday of the month at 7PM called Our Sky Tonight. Visit their website for schedule of shows. Details: The Port Tobacco Players Theater performs six shows per season on the main stage in downtown La Plata and also performs countless road productions with their Encore and Encore Kids touring companies. The Port Tobacco Players are dedicated to continuing the tradition of providing quality theater to the citizens of Southern Maryland. In addition to the seasonal shows PTP is known for putting on children’s shows too. Check out their website for a list of this seasons show. Details: This state of the art movie theater offers stadium seating with reclining chairs to make your theater experiences comfortable. Over the summer The Xscape Theater has a free kid’s movie program. Check their website for details about movies and show times. Details: The mission of Chesapeake Children’s Museum is to create an environment of discovery about oneself, the peoples, the technologies, and the ecology of the Chesapeake Bay area for all our children and for the children in us all. Details: The B&O Railroad Museum invites your little engineer to look at, touch, hear and explore one of the largest railroad collections in the US. See the website for information about story and activity times, and be sure to check out the kid’s area with train tables and toys for kids to tinker with. Details: Port Discovery Children’s Museum offers three floors of interactive, educational exhibits and ever-changing programs for children ages birth through 10. Details: The National Aquarium offers a three-hour showcase with close to 20,000 animals, including birds, frogs, sharks, dolphins and jellies. Details: If you are looking for a good family day trip in the Southern Maryland area then the Calvert Marine Museum is the perfect place. Located in Solomons, Maryland, at the mouth of the Patuxent River; this museum offers fun, hands-on experiences in a beautiful setting. My boys love spending time in the children’s exhibit hall where you can dig for shark’s teeth, pretend to be a captain on a sail boat or learn about and even touch marine life. Details: This is a really cool indoor pool because it features a children’s pool area with a beach style ramp entry with depths that range zero to three feet. It is heated at 82-84 degrees so it’s not chilly. The best part is that the children’s leisure area includes three youth slides, in-water climbing features and water drop buckets. See the website listed for pool schedule and prices. Details: Parents and caregivers looking for an indoor playground to entertain their children may purchase tickets for up to 2 hours of play in our spacious showroom in Columbia, MD. Our huge indoor facility, which features safe rubber flooring, has swingsets, basketball goals, trampolines, air hockey and foosball tables best suited to entertain ages 2-8. We do, however, have baby swings to accommodate the little guys. Week day play time is drop in style; weekends require a ticket. Free play is $8 per child for up to 2 hours of play. Hours are Monday-Friend 10AM-5PM. Details: The PLAYSEUM is a place to build good family memories that engage all five senses. Be With Me- Playseum offers hands-on fun throughout 12 different rooms, designed like kid sized cities! Parent & child can explore the labyrinth of themed playrooms and activity centers that range from soft blocks and Legos to mini manicures, pretend grocery shopping, petting an animal in a live pet shop or creating something in the art shop or baking something in the bakery! We have activities galore for everyone—babies –to-tweens to –parents—making the PLAYSEUM a must-do for the whole family. Details: Brookside Nature Center provides hands-on educational opportunities that connect the natural and cultural assets of Montgomery County. Nestled within 536 acres of Wheaton Regional Park, the facility offers quality programs for people of all ages, interests, and abilities. While at the nature center guests can visit feathery and scaly residents. The exhibits feature live animals (reptiles, amphibians, and arthropods) and an observation beehive that is abuzz with activity. Details: This playhouse offers both adult productions & classic stories for kids using live actors & puppets. Details: This is an amazing recreational facility with a remarkable pool with indoor water features including slides and splash area. The center hosts events, activities and programs for all ages. Please see website for more details. Details: The center is focused on environmental education and has a variety of interesting exhibits, displays, programs and special events. The nature center features a small indoor pond, live animal exhibits and hands on activities. There is even a fun cave the kids can explore and run around in. Details: This museum is a great place for your little pilot to explore; especially if they love airplanes! The College Park Aviation Museum has over ten different full-sized airplanes some of which your kids will enjoy crawling around and play in. Be sure to check out their Peter Pan Club that takes place on the second and fourth Thursdays of each month for a program designed for preschoolers that features aviation story time and craft workshops. Details: The visitor center demonstrates Goddard’s innovative and exciting work in Earth science, astrophysics, heliophysics, planetary science, engineering, communication and technology development. Browse the unique, informative exhibits and learn about climate change, climb inside a Gemini capsule model, encourage a child to dream as he or she pulls on our kid-sized space suit, or participate in one of the monthly model rocket launches. Details: The National Building Museum explores architecture through design, construction, and engineering. There are two great areas where little ones can engage and interact with exhibits meant for hands on learning. The first area is the Building Zone, which is geared towards children between the ages of 2 to 6 years old. Here you will find large building blocks, miniature ride on bulldozer, and a “green” playhouse they can run around for up to 45 minutes (This area is included in the cost of admission, but you can opt to skip the other exhibits and pay just $3 per child). The second area is the Play Work Build; which has foam blocks of all sizes that are fun to build up than demolish. See the museums site for hours, price and programs as they may change depending on the date. Details: Did you know that on the third level of the National Museum of the American Indian, you’ll discover one of DC’s coolest activity centers for kids? This area designed for young children, is called the imagiNATIONS Activity Center; a place where kids learn how to interact with the environment around them. You little ones can weave baskets from different material, explore houses made from different materials like wood or mud, or even learn to walk in snowshoes! Enjoy reading a book quietly about Native cultures or make lots of noise playing instruments scattered through the room. Details: The National Postal Museum is often mistakenly overlooked! However, this free Smithsonian Institution offers visitors interactive exhibits that kids can touch, climb, and engage in. Details: There really are so many great Smithsonian museums to explore. The National Museum of American History is one of the best museums to visit for interactive hands on experience. Be sure to check out Wegman’s Wonder Place which is designed for the little ones from infant to preschooler. This section offers smaller sized versions of the Smithsonian’s most popular exhibits. Details: This is a Smithsonian favorite. It’s so much fun to explore the rooms filled with the wonders of the world. From dinosaur bones to rare gems there are sure to be amazed. A great space for hands on exploration is the Q?rius jr. room; which features an interactive experience with real Museum objects and artifacts. Your little archaeologist can examine rocks, minerals, fossils and more. Details: The Rock Creek Park Nature Center serves as the park’s visitor center and exhibits on area plants and animals, and has the only planetarium in the National Park Service. The facility includes a children’s Discovery Room offering environmental education books and games and a “Discover Rock Creek” bilingual (Spanish and English) exhibit geared for school aged children. The Nature Center also includes live turtles, fish, snakes, an active beehive, a bird observation deck, and “water-wise” garden. Details: The Children’s Science Center aka the “The Lab” is located in the Fair Oaks Mall. Children ages 2 and over can experience science through four distinct areas – the Experiment Bar, the Inspiration Hub, the Tinker Hub and the Discovery Zone. Details: The Chinquapin Center has a pool and many great parks and recreational activities. For those with young children you will want to try the Soft Play Room which is designed for children ages five and younger, the Soft Playroom offers a clean play environment to provide exercise for imaginations as well as bodies. Under guardian supervision, children can share play zones loaded with soft toys and activities with their families, playgroups or new friends. (Make sure you bring socks!) Hours are 9AM to close. It is recommended to call the Chinquapin Park Recreation Center & Aquatics Facility at 703.746.5441 to check availability prior to drop-in use. Fees are $5 per child, per half hour, first chaperone is free. Thank you so much for this site!! I live in Chattanooga Tennessee but my grandson lives in Waldorf. I go to see him every 3 months so I’m always looking for fun things to do with him . That’s not easy in the winter. This has been a great help. Thanks again.